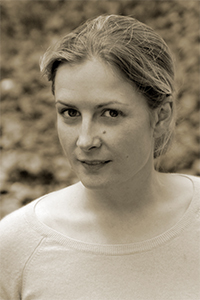 Tess Taylor is the author of The Forage House (Red Hen Press, 2013) as well as the chapbook The Misremembered World (Poetry Society of America, 2003). Her work has been published in The Atlantic, Boston Review, Harvard Review, and VQR. Taylor serves on the board of the National Book Critics Circle and is a visiting professor of English and creative writing at Whittier College.